Tracked and hunted, far beyond the furthest lands, Realm One presents the ‘Hunter’ Symbol T-shirt design. Do you consider yourself an animal lover? A solitary individual who prefers the company of a rare beast to that of an annoying human? Then by now you should have tracked our ink covered scent. 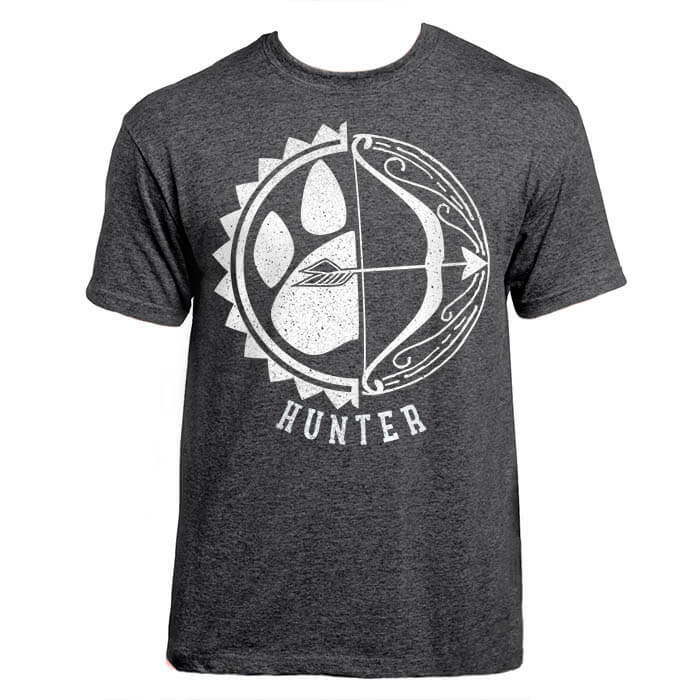 For just a tiny amount, you can now hunt down this rare and collectable tee designed purely for the Hunter at heart.